The earlier we start preparing for the holidays the better. I know that isn’t something most want to hear. Especially me! I am the ultimate procrastinator. Before you read on don't worry if you can't implement everything this year. Do what you can and you will be ready next year! Schedule time about a month and a half before the holiday and pull out all your holiday-related items including decorations, baking/cooking specialty items, and wrapping supplies. This gives you time to inventory what you have, which will help you cut down on unnecessary purchases and also gives you time to donate, consign, or sell items. Let go of items that you no longer love or need. If you do this early enough you could consider having a holiday specific yard sale. This can also be a good time to consign, but be sure to check with your local consignment shops as to when they accept holiday items. If you miss the deadlines set aside a bin of items for next year and put those dates on your calendar. Your lists might include tasks, gifts, food, and events. Keeping everything in one notebook or digital list and have it with you always. Carry coupons that you have clipped as well. When first making the lists, you can do a big brain dump to get everything out of your mind. Then you can organize that into lists that make sense to you. You may even find tasks that you can let go of further reducing your stress! Chipping away at things really does add up and using a spare 15 minutes or so each day makes it more manageable. Having things in order before you decorate, shop and entertain reduce the stress. 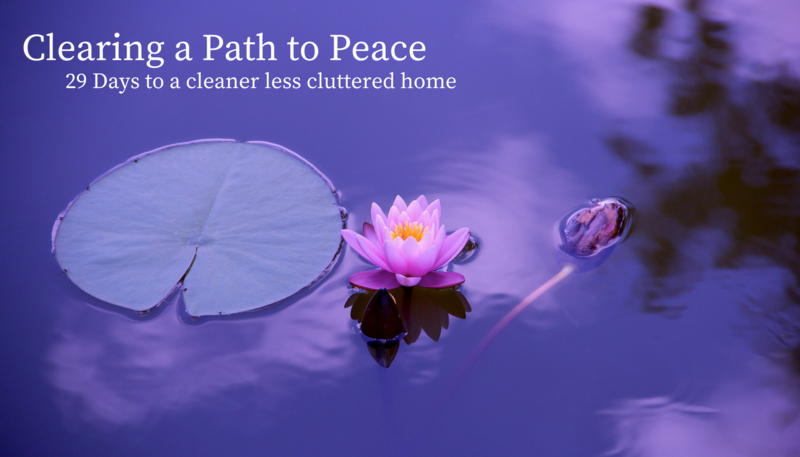 If you need help getting started with the living areas of your home my Clearing a Path to Peace program takes you through 29 days of cleaning and decluttering. It can be a challenge to mix decor when you each come into the relationship with own collections and tastes. You have a few options. Alternate years that you decorate with each other’s décor or go through each item and negotiate which you will keep. You could also use one style in one room and the other in a different room. It is important to be respectful of each other’s stuff, but it is essential to pare down if you have too much stuff, especially duplicates. Do you get bored with the same decoration theme every year? Consider letting go of old things or storing each theme separately so that you can alternate each year. Store the items that you use every year separately and then create theme bins for the rest. Many times we hold onto unwanted gifts out of guilt. When receiving gifts we don't like or need, embrace the good intention of the gift apart from the gift itself. If you have someone that repeatedly gives you gifts that you don't enjoy or need you may want to have a conversation with them. You can make it about you and perhaps just tell them you are trying to reduce your belongings. It is perfectly acceptable to regift items that are brand new. Don’t feel guilty but be sure the recipient will truly want the item. These are a tough one for people to let go. If you have too many go through them with your kids and let them decide which ones they want to keep. This is a similar exercise I have people do with their kids regarding school and artwork. Often times we want to keep it all and they don’t. Remember they will be the ones inheriting everything. You can always take photographs to preserve the memories. This seems to be a question I get often and why I recommend purging as much as you can prior to the holidays. Also, be sure that you aren’t just giving to exchange gifts. Often times we really don’t need anything and our friends and family struggle to find a gift which just becomes clutter. Think about giving and asking for experiences. Sometimes just spending time together is the best gift. These are sometimes a huge stress point for people. I stopped sending them years ago. Most of the recipients saw my kids on social media all year long and didn’t need another photo. Because my list was so large I also felt they were becoming impersonal. I now take the money that I would spend on those photo cards and make a special charitable donation. If you still find joy in sending them but stress over the process you may consider sending them at a different time of year. How to store everything is the number one question I get. It really depends on what you have and the space you have to store it but these are some general tips. It is best to use clear bins, but if you already have non-clear I wouldn't buy more, just be sure to label them. Labeling homemade items is also a great way to preserve memories. I use a sharpie on the bottom of ceramic things that my mom made back in the seventies. I indicate made by (her name) and the year or decade if I am not sure. I do the same with my children's creations. 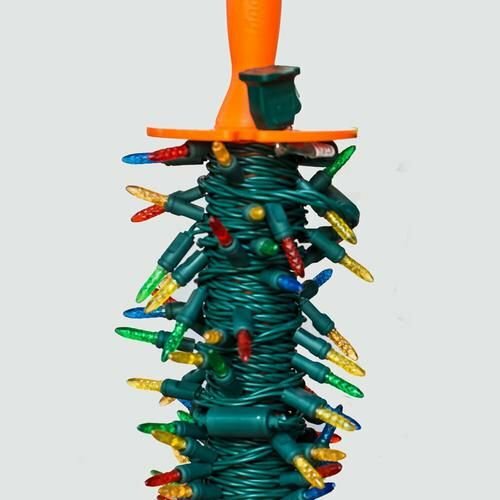 Place a disposal bag under your real tree before setting it on the stand. Instead of trying to jam your artificial tree into the original box consider getting a tree storage bag. One with wheels is helpful. Wreath storage bags are also handy. 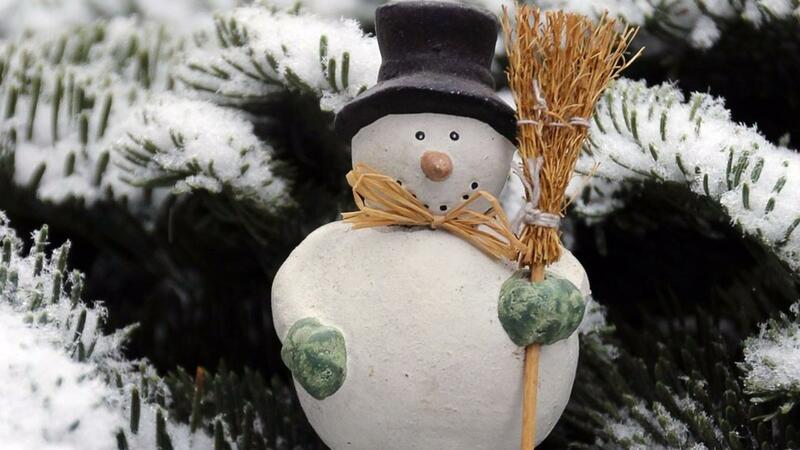 Use special ornament bins or egg cartons for fragile ornaments and small items. Don't toss those scraps of wrapping paper, use them to protect small ornaments. Save original packaging for larger fragile items. Take out batteries before storing items. This will extend the life and prevent corrosion. If you typically store your items in an attic or area that gets hot in the summer don't store your candles there. Take photos of how things are packed so you can follow the same packing year to year. You can place the photo right in the bin. I am not an affiliate of the Kord Kaddy but love this amazing product for keep lights untangled. We all work differently and no organizing style is right or wrong. It is helpful to understand the way you work before setting up organizing systems. Take this simple six-question assessment to see which style you identify with most.